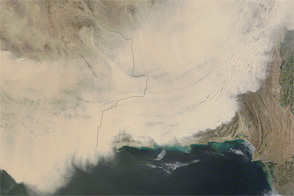 As weather grows hot and the winds pick up in late spring, dust storms start to blow across India. 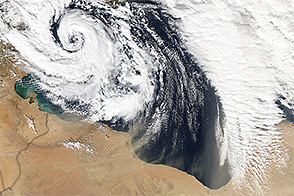 The most intense dust storms usually occur just before monsoon season. But this year has been worse than usual. 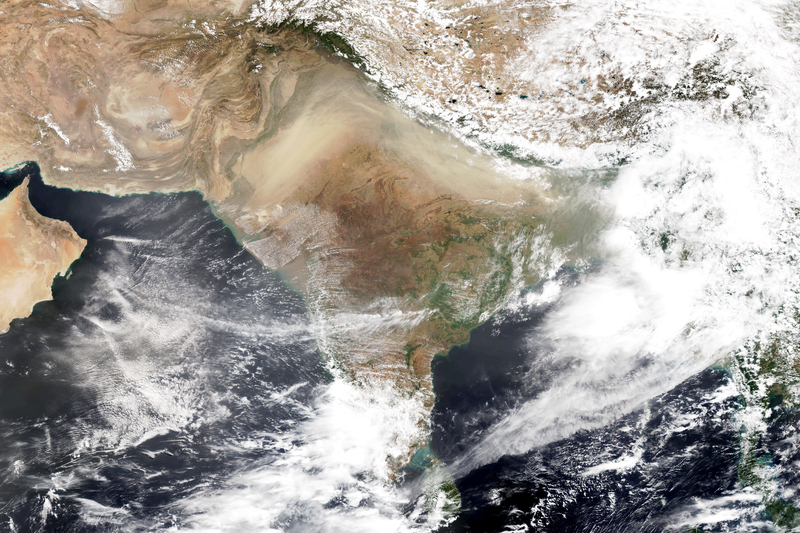 In May 2018, India experienced a period of extreme weather, including intense dust and lightning storms. A new burst of storms from June 12-15 over New Delhi led to severe pollution, causing citizens to suffer through poor breathing conditions. A dust storm originated in the western state of Rajasthan on June 12, 2018, as high winds kicked up dust from the Thar desert. 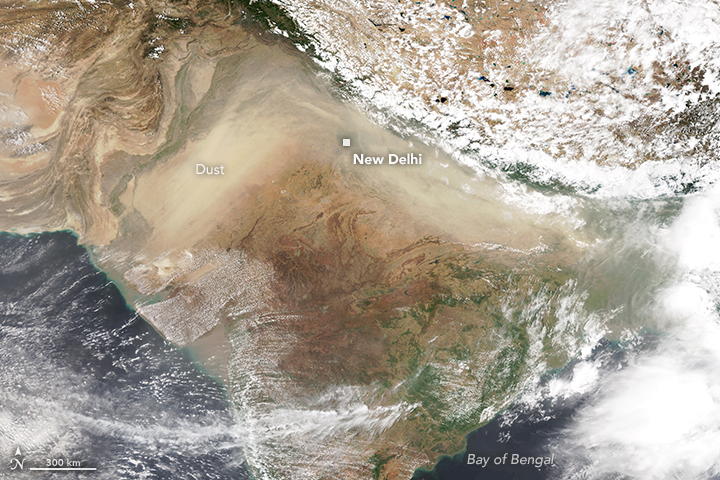 Over the next few days, the dust traveled across north-central India. 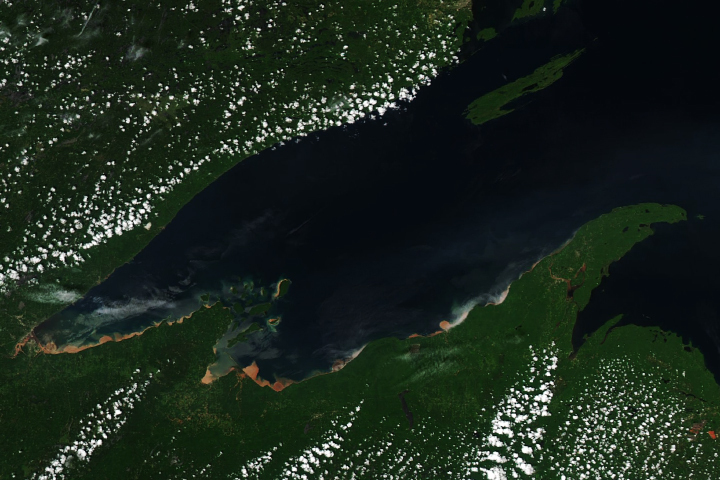 This image was acquired on June 14 by the Visible Infrared Imaging Radiometer Suite (VIIRS) on the Suomi NPP satellite. The dust was trapped between mountain ranges and appears in the shape of upside down “v” on the image. 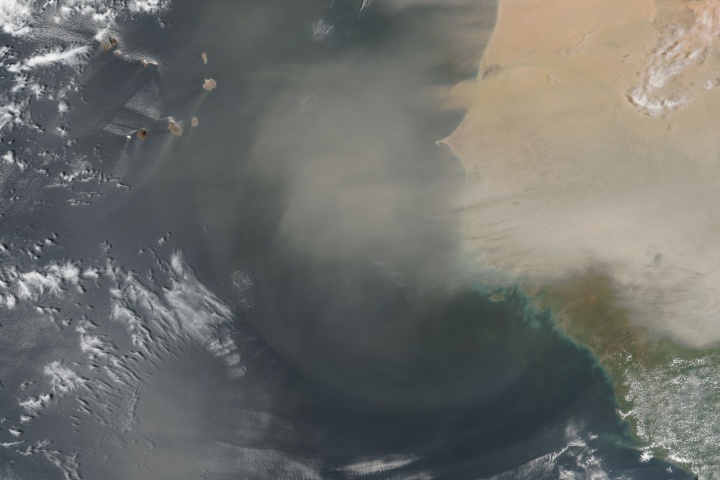 Jethva expected the dust to continue moving southeast toward the Bay of Bengal, but instead it stayed concentrated over the northern plain for another day because the south-moving dust was met by strong winds blowing northwest from the Bay of Bengal. Air quality around New Delhi was at its worst on June 15, 2018. The graph below shows air quality conditions (particulate matter and ground-level ozone) over New Delhi as reported by the U.S. Embassy and Consulates' air quality monitors. Hazardous levels of air quality are classified with measurement values of from 301 to 500. New Delhi’s air quality index on June 15th was around 518. The local government advised people to stay inside and deployed fire brigades to sprinkle water across the city. Along with the strong southwesterly winds lifting dust into the air, one reason for the intense dust storm is that the first spell of monsoon rain has been delayed in northern India this year. Normally, the rains help dampen and remove dust, cleansing the air. The India Meteorological Department is forecasting light showers in New Delhi, which may alleviate the air pollution. 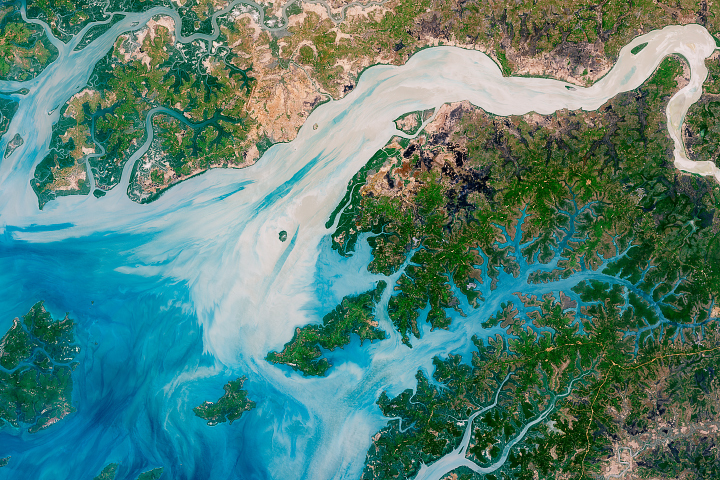 NASA Earth Observatory images by Lauren Dauphin, using VIIRS data from the Suomi National Polar-orbiting Partnership, and air quality data from AirNow (2018). Story by Kasha Patel. An unusually intense dust storm brought hazardous pollution to New Delhi before monsoon season. BBC News (2018, June 14) India Delhi residents choke as dust blankets capital. Accessed June 18, 2018. India TV News (2018, June 17) Dust storms in Delhi: Respite in sight as IMD forecasts light showers in national capital today. Accessed June 18, 2018. AirNow Current AQI. Accessed June 18, 2018. NASA Earth Observatory (2010, November 24) Seasonal Changes in Indian Aerosols. 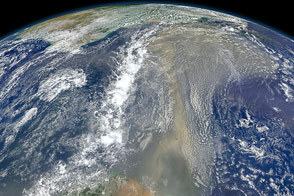 NASA Earth Observatory (2011, August 24) Dust and Pollution Rise Before the Monsoon.